It&#39;s a global party, and you&#39;re all invited to Oktoberfest in Germany, Children&#39;s Mid-Autumn Festival in Vietnam, Loy Krathong in Thailand, the Festival of Holi in India and lots more! Step into the music and culture of ten regions around the world and read about festivals with moon cakes, sky lanterns, didgeridoos, Kintaro and a host of other interesting facts and legends. 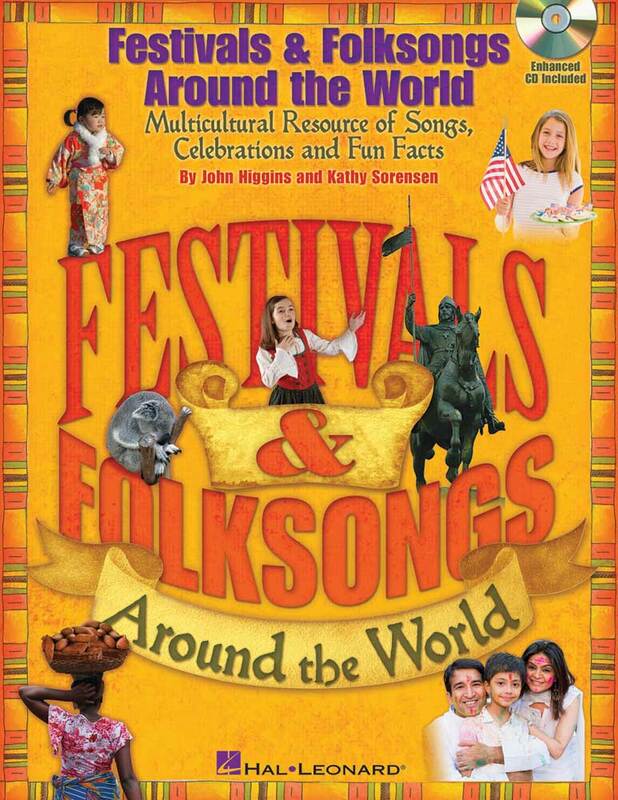 This quality resource features reproducible student articles and folksongs that are fun to read and sing, exceptional standards-based lesson plans, assessment and extension activities to enhance learning, and piano accompaniments with ethnic choreography for that special touch! It all comes in one value-packed Book/CD! The ENHANCED CD features each song recorded with and without singers, separate pronunciation guide tracks to help learn the foreign texts, and PDFs of the articles and songsheets for projection options! Promote cross-cultural education and reinforce language skills while focusing on the principle objective of having fun learning songs from different cultures! Available: Book/Enhanced CD. Suggested for grades 3-6.